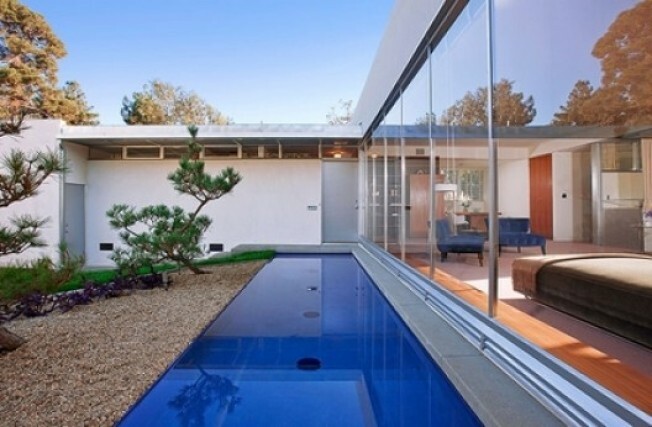 The last time architect Richard Neutra's Barsha Residence was mentioned on the site, it was in reference to a PriceChop on this home, a residence that was in dire need of work. "It was in such bad shape, it couldn't even be photographed," says listing agent Crosby Doe, describing the former state of the Pacific Palisades home. But the Barsha residence (1938, named after Leon Barsha) found a friend in designer/real estate agent Scott Lander, who purchased the home (according to Redfin, it sold on Jun 10, 2008 for $1.487 million), renovated it, and listed the home for a tidy $2.495 million. It hit the market yesterday and will be shown for the first time on Tuesday. More via the listing: "Museum quality 1930's interiors showcase Neutra's panache for simplicity, sophistication and sheer elegance during this earlier part of his storied career." Meanwhile, a September Architect magazine article notes that even the original bathroom hardware was restored.